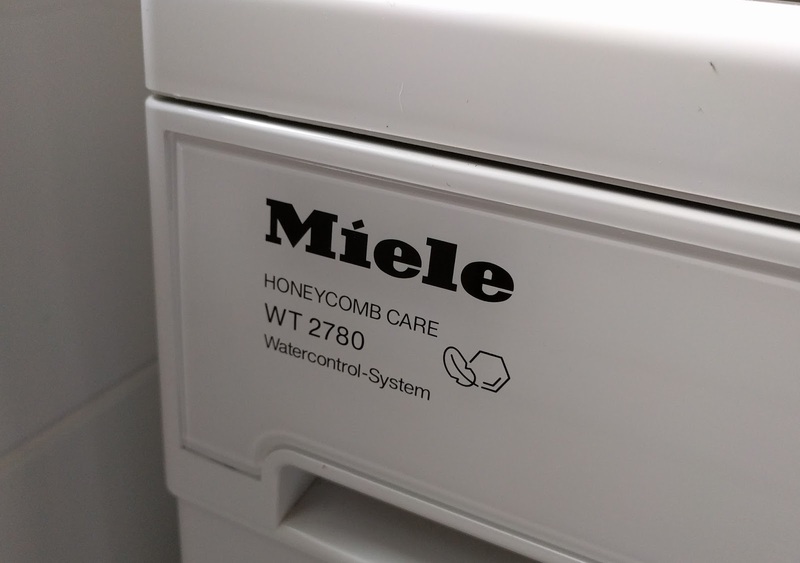 I like Miele kitchen appliances. We have only had a few over the years because they have been very reliable. Unfortunately our WT 2780 washer dryer let us down. 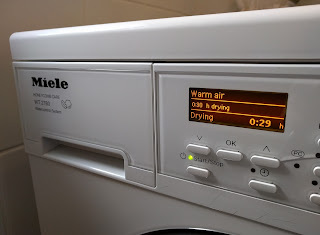 It was only the drying part. It still washed OK.
A little research on the Internet established that there was a good chance it was a thermostat and failing that the heating element. Even easier, the thermostats have a reset switch. What I don't like about Miele is their secrecy over their service manuals. They appear to think that only qualified engineers are capable of repairing their equipment. So like many people I have had to use guesswork to take it apart. If they made their technical instructions available, any competent person would at least have a better chance of fixing them with less risk of damage. 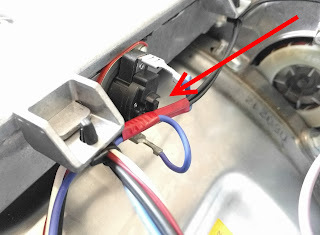 In order to help others, here's what I did to open up and reset the thermostat so the dryer works again. First a WARNING: Turn off the power and remove the plug from the wall before you start. The top needs to be removed. 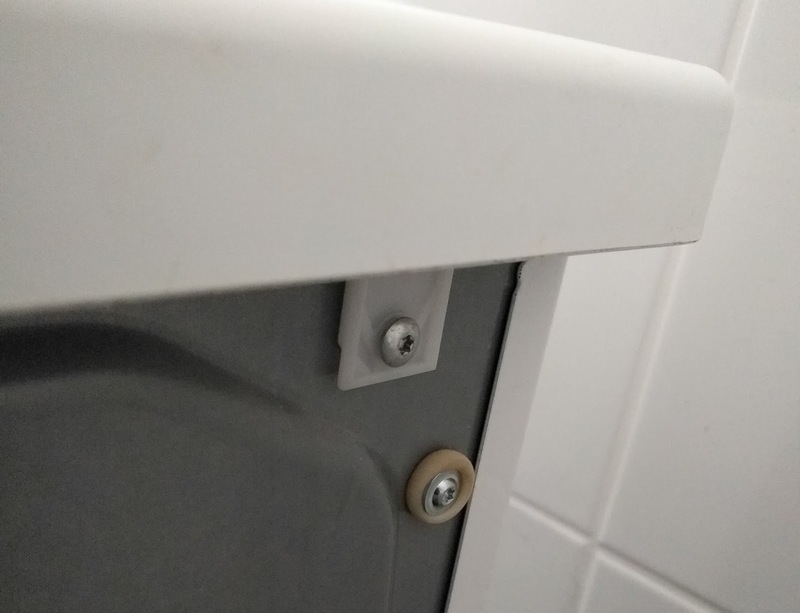 There are two screws at the rear, in either corner holding a white plastic piece. They look like they need to be taken out but they do not. They can stay in place. 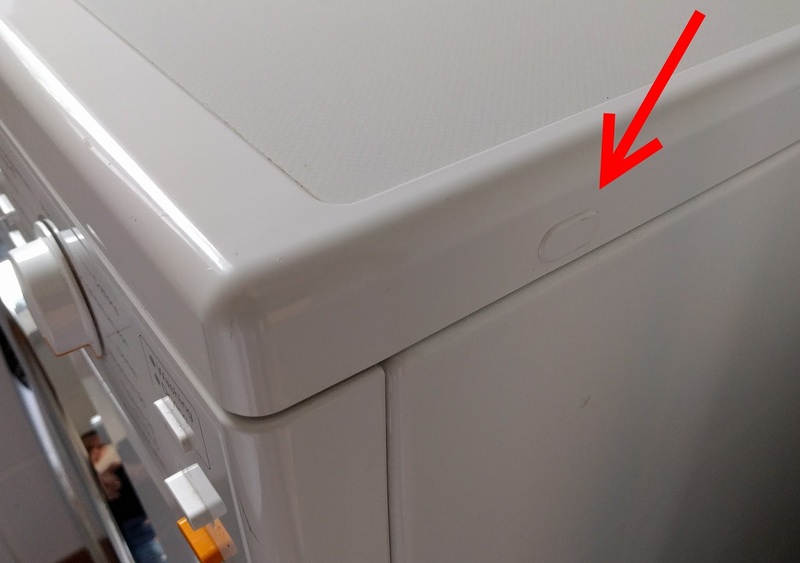 When the two side screws have been loosened, the top slides back and out of the two white plastic clips. The two screws that need to be loosened are behind plastic covers on either side, a little back from the front of the machine. The covers come out easily by slipping a small knife behind and gently prising them off. 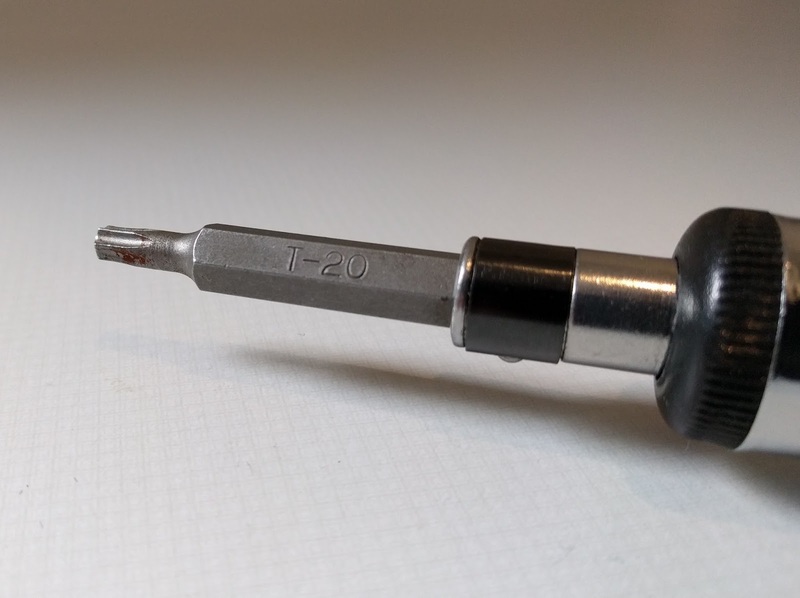 The screws are T20 Torx drive and do not need to be fully removed. I now know to just loosen them a couple of turns so the clips they hold are free to slide and far enough in to clear a small metal lip. 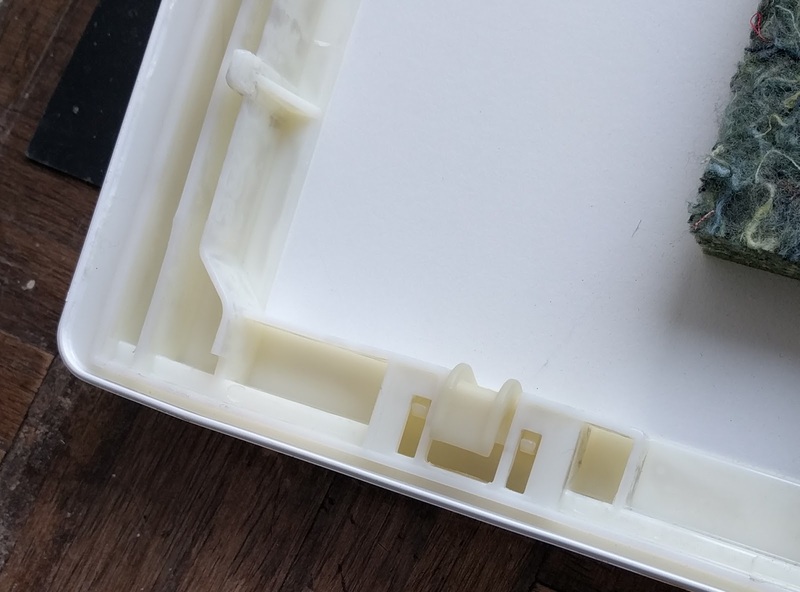 The top needs to slide backwards first to clear the rear plastic clips and then it can be lifted off easily. 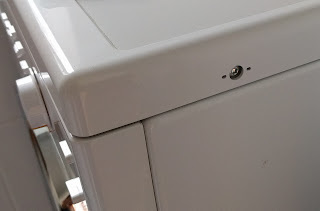 If there is any resistance, check that side screws have been unwound enough and pushed in so the clips clear the lip. Before going inside, double check the mains power is off. There are lots of live wires in there. Once inside the thermostat is obvious and the reset can just be pushed in until it clicks. If it resets frequently I would assume there is underlying cause, however, so far so good.